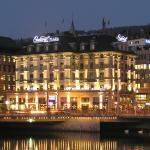 Zurich is one of the most expensive cities in Europe, but also the one with some of the most prestigious luxury hotels. Zurich is the city of business travel, where important international events take place and where therefore sometimes it’s very difficult to find accommodation without booking in advance, however it is also possible to find cheap accommodation such as apartments, bed and breakfasts and hostels, where the standard of service and customer care is fair. The city is divided into 12 districts (among them the Altstadt the Old Town, West / Aussersih shopping district, Oerlikon's business district), each with several neighborhoods. 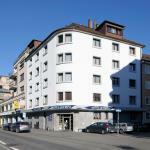 In all districts you can find hotels and guesthouses: the town is crossed by the River Limmat that divides the city into two parts, on both sides it is possible to sleep in hotels of different standards for quality and prices, but the area on the right bank of the river, the Old Town, offers much choice, cheaper hotels and more traditional accommodations. Hotels, Resorts, B&Bs are present near the Kunsthaus, the museum of Modern Art, near the Museum Bellerive, museum of fashion, architecture and design, or close to the Landesmuseum, the Swiss National Museum in the Platzspitz Park located in front of the central station. 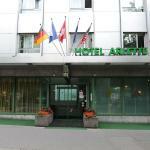 Some accommodation choice is available along the Bahnhofstrasse shopping avenue and center of finance, that starts from the train station and where many Swiss banks have their headquarters. The Senator Hotel is located in the vibrant western part of Zurich and is well served by public transportation that will allow you to easily reach the city centre. The airport is about 15 minutes away. 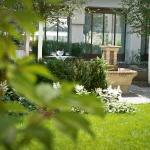 The Olympia Hotel Zurich welcomes you in a convenient location not far from downtown Zurich. The hotel is easily accessible whether you arrive in town by plane or train, whether you move by car or public transport.